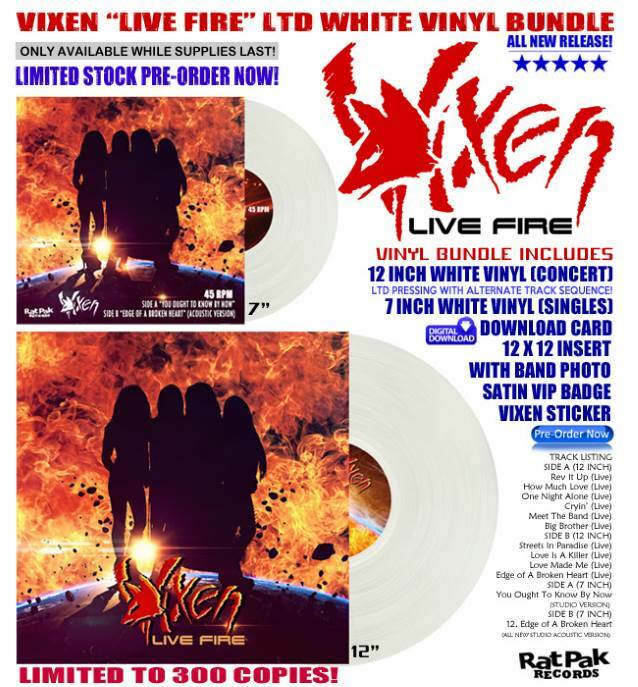 Classic ’80s rock veterans VIXEN will release “Live Fire” on July 6 via Rat Pak Records. 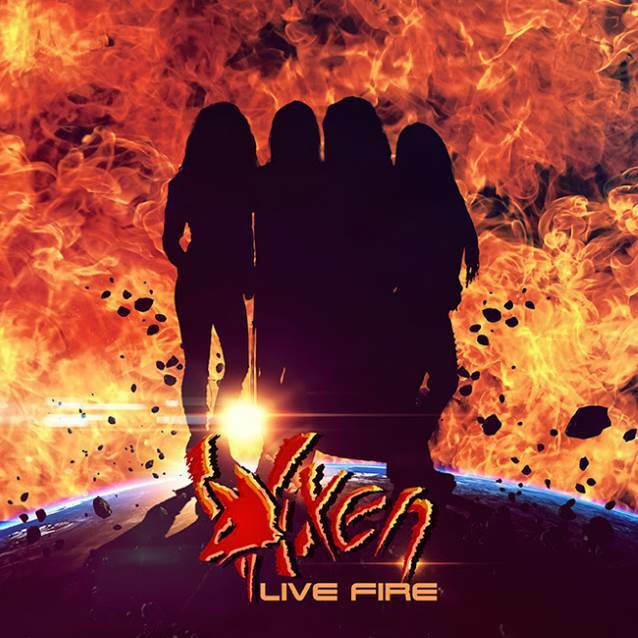 Mixed by Michael Wagener, “Live Fire” features 12 live tracks and was recorded at Chicago’s legendary Arcada Theater during the group’s successful 2017 tour. 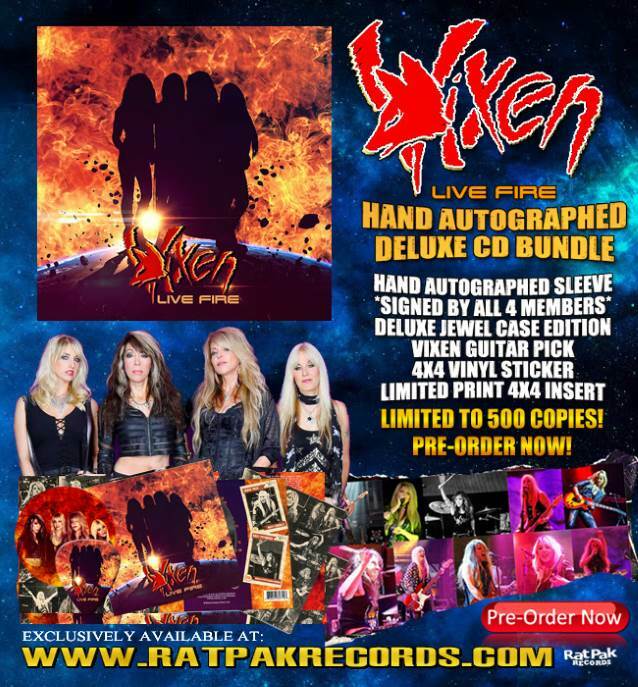 In addition to the classic VIXEN songs, the effort also includes a newly recorded studio version of “You Ought to Know By Now”, an all-new studio acoustic version of the hit song “Edge Of A Broken Heart” and a live version of a previously unreleased track called “Big Brother”. 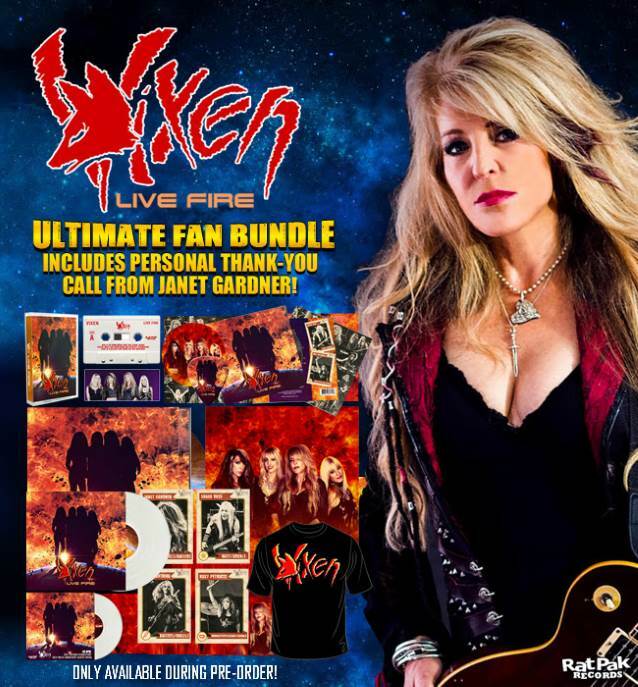 “Live Fire” is available in various formats and bundle configurations, including a limited white vinyl pressing with an alternate track sequence and also an Ultimate Fan Bundle that includes a personal “thank-you” phone call from Janet Gardner, exclusively available at www.ratpakrecords.com/vixen.